Here at SNU, Oklahoma often gets a bad rap for those a little more adventurous at heart for having nothing to do outside. In other words, people think that there are no mountains to climb, trails to hike or beautiful sights to see. The truth be told, there’s actually plenty to do outside; you just have to look for it. Of course, Oklahoma cannot compare to the soaring Rockies of Colorado or rafting down the Arkansas river; however, it is still unique in its own way and has plenty to offer in terms of outdoor adventure. One of the most popular and best known areas to go and hike outside is the Wichita Mountains Wildlife Refuge located in southwest Oklahoma. It is by far one of the most beautiful places in Oklahoma. You can go hike Mount Scott or Elk Mountain for a beautiful view of the rolling hills and Quanah Parker Lake located nearby. Also, you can take a hiking trail to the Forty Foot Hole, a striking canyon leading up to a cascading waterfall, or simply roam around the refuge and see the majestic herds of bison as they make their way across the planes. The Wichitas provide a perfect weekend getaway to get outside and update your Instagram with some great pictures. Another place to go is Robbers Cave State Park. A hideout for several Old West outlaws, such as Belle Starr and Jesse James, the park has multiple caves that visitors can hike into and explore. It also is a great place to go rock climbing and rappelling with its large rock structures. The park also includes several lakes, which make for a great photo from the surrounding overlooking bluffs. Located in eastern Oklahoma, Robbers Cave State Park is a great option for those hoping to go deep underground or rock climbing far above the ground. Quartz Mountain Nature Park is another place to go visit. 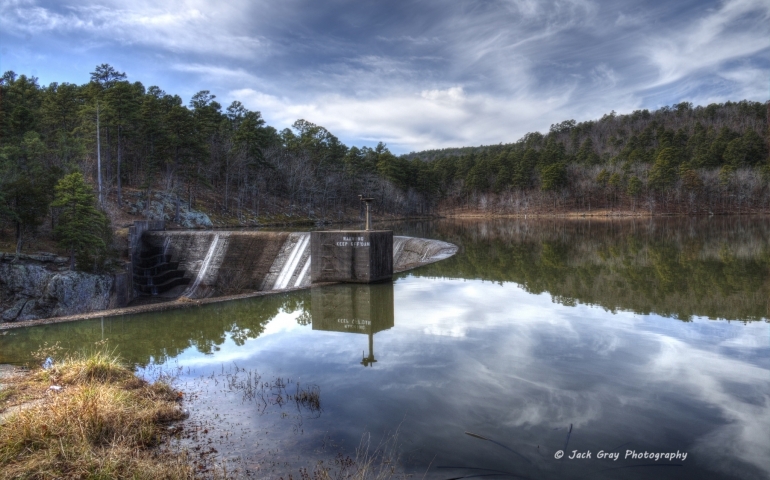 Located in the southeast part of Oklahoma, the park is open year round for activities including rock climbing, hiking, boating, camping and bird watching. The Glass Mountains is also one of the best places to go and unplug and enjoy hiking and climbing. Located in northwest Oklahoma, the red mesas of the park rise to 150 feet above the surrounding plains. The Glass Mountains get their name from the sparking crystals that cover the sides and tops of the mesas and catch the light of the sun. Visit the Glass Mountains and spend the day hiking, climbing the mesas and picnicking on top with a stunning view of the surrounding area. Adventure is out there. But it can only start when you are willing to get out and explore what is out there. Instead of sitting back and complaining about how boring and plain Oklahoma may be, take advantage of all it has to offer and enjoy being outdoors.